The enactment of the Resource Management Act 1991 (RMA) combined around 70 pieces of legislation into one central environmental planning statute. The integration of a number of fragmented regimes was a significant step forward for environmental management in New Zealand. The RMA was also significant for its incorporation of the principle of sustainability; the purpose of the RMA is to promote the ‘sustainable management’ of natural and physical resources. The RMA is consistently described as world-leading legislation – so why has freshwater quality been declining so rapidly in our lowland streams and rivers? The Act contains two key protections for water. First, it allows people to take and use water for their reasonable domestic needs and to provide drinking water for animals, but it prevents people from using water for any other purpose, unless permitted by a regional plan or a resource consent. Secondly, it prevents any person from discharging a contaminant into water, or onto land where it is likely to enter water, unless allowed by a regional plan or resource consent. The RMA sets a good starting point. But the devil is in the detail – the regional plans and resource consents which implement it. One failure of the RMA is that resource consents are allocated on a first-in-first-served basis. This worked when there was plenty of water for everyone. However in catchments that are over-allocated, or nearing over-allocation, it just does not fit the bill. Another problem is the inadequacy of regional plans. Most regional plans lack specific guidelines and have left the hard decisions to be made through the resource consenting process (or avoided the hard decisions altogether). Managing freshwater effectively requires a catchment-wide approach. This cannot occur when decisions are made consent-by-consent. Without clear regulation it is difficult to manage freshwater, particularly cumulative effects. However, the adversarial nature of the RMA processes coupled with farmer dominance of many regional councils worked against any council which tried to introduce clear guidelines. Inevitably, woolly language resulted from compromise. 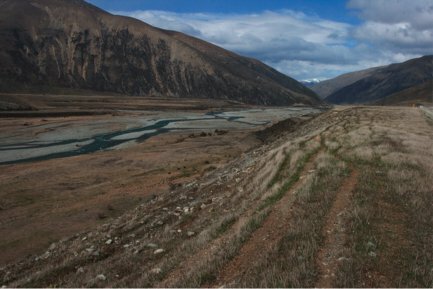 In 2009 the Land and Water Forum (LAWF) began a collaborative process, whereby stakeholders began to work together to find a better way to manage water in New Zealand. The LAWF produced three reports which made a wide range of recommendations. Essentially, it recommended the establishment of defined national objectives for our water bodies, and the setting of limits, standards and targets to ensure these objectives are met. They also advocated the use of collaborative decision-making processes. The value of the collaborative process is that it recognises that if communities and key players have the scientific, economic, technical and indigenous information and are involved in the resolution of values and interests, it is more likely they will buy-in to the solutions. It is hoped that this will have significant advantages over the adversarial processes which currently dominate the RMA. Another problem facing water management under the RMA has been a lack of national policy documents. The development of the National Policy Statement for Freshwater Management 2011 was a step forward for freshwater management in New Zealand. It aims to safeguard the life-supporting capacity of freshwater, ensure the overall quality of freshwater is maintained or improved and avoid or phase-out the over-allocation of freshwater. It requires regional plans to include freshwater objectives and set water quality limits and environmental flows in order to meet those aims. The Government recently released a discussion document “Freshwater reform 2013 and beyond” which will implement some of the LAWF recommendations. It addresses the establishment of a National Objectives Framework and the establishment of an optional collaborative planning process for freshwater planning. The National Objectives Framework will include a set of values that a water body can be managed for, with associated minimum states. It will require all water bodies to meet the minimum state for ecosystem health and secondary contact. The National Objectives Framework will be a step forward for freshwater management in New Zealand. The Government has not yet populated the Framework with tight narrative and numerical values so a crucial part of the new freshwater management architecture is still awaited. This is where science will play a key role. The Government has also released a further discussion document “Improving our resource management system”. This includes proposals to fundamentally change the principles of the RMA, reducing the Act’s core environmental protections. It is unfortunate that these proposals were announced alongside “Freshwater reform 2013 and beyond”. Improvements to freshwater management will be bittersweet if they come along with a weakening of the RMA’s core environmental protections. Nicola de Wit is a lawyer at the Environmental Defence Society.